The Dennistoun Community Council 2012 Annual General Meeting will take place on Tuesday the 9th of October at 7pm in the Library of Whitehill Secondary School, Onslow Drive, G31 2QF. The agenda includes the following items: approval of minutes of last AGM; chairperson’s report and questions from the floor; treasurer’s submission of balance sheet and annual accounts; standing down of office current office bearers and election of new office bearers. There will also be an election results meeting where the election of candidates will be declared by the Independent Returning Officer appointed by Glasgow City Council. All Dennistoun Community Council office bearers will step down and new officer bearers for the year ahead will be elected from, and by, the newly eligible members. 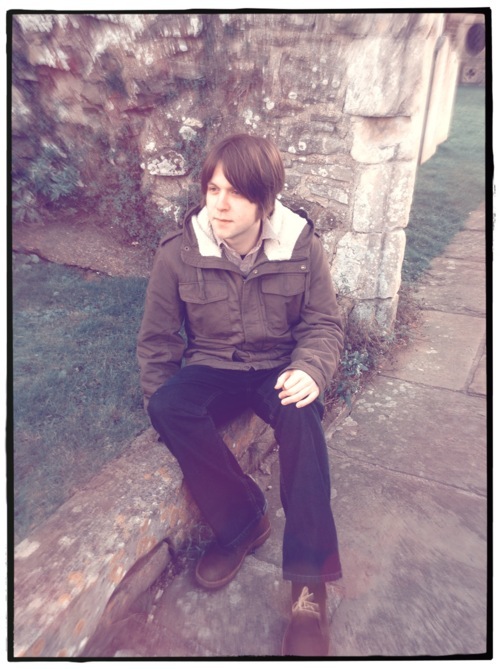 Next meeting: Tuesday, December 13th, 7pm at Whitehill School. 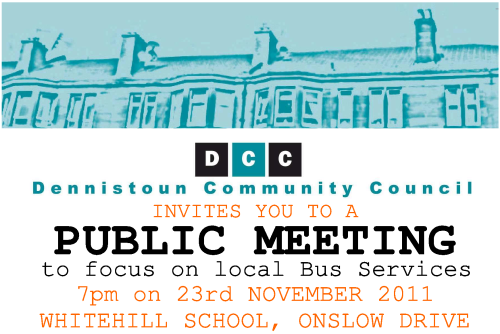 Dennistoun Community Council will be holding a public meeting to discuss local bus services on Wednesday 23rd November at 7pm in the Whitehill Secondary School lecture theatre, 280 Onslow Drive, Dennistoun, G31 2QF (map here). 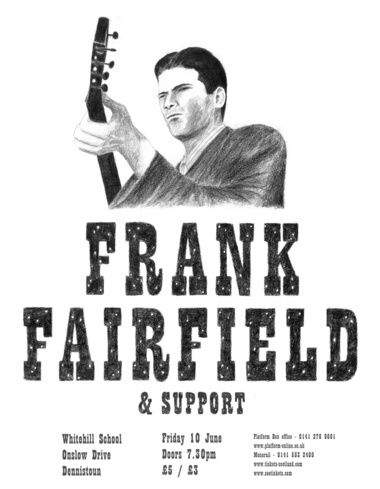 Frank Fairfield will play a gig at Whitehill School on Friday 10th June at 7.30pm.